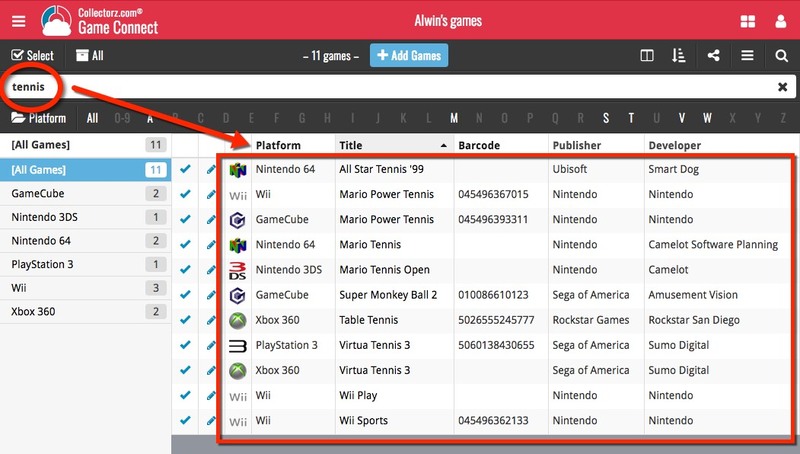 Up until today, the quick search box in Game Connect (and the CLZ Cloud viewer for games) only searched in the Title, Platform, Barcode and Tags fields. Pretty limited, but necessary for performance reasons. However, with the new search engine we created last year, it became possible to search more fields while keeping the search super-fast. So lets use that capability!